The curious marriage of a brash and brawny American V8 engine, mounted in a gorgeous Italian-styled body, is often a successful one, as proven by the Vignale-designed Jensen Interceptor or Frua’s Monteverdi 375 L. Few have bettered the winning combination of the ISO Grifo though. 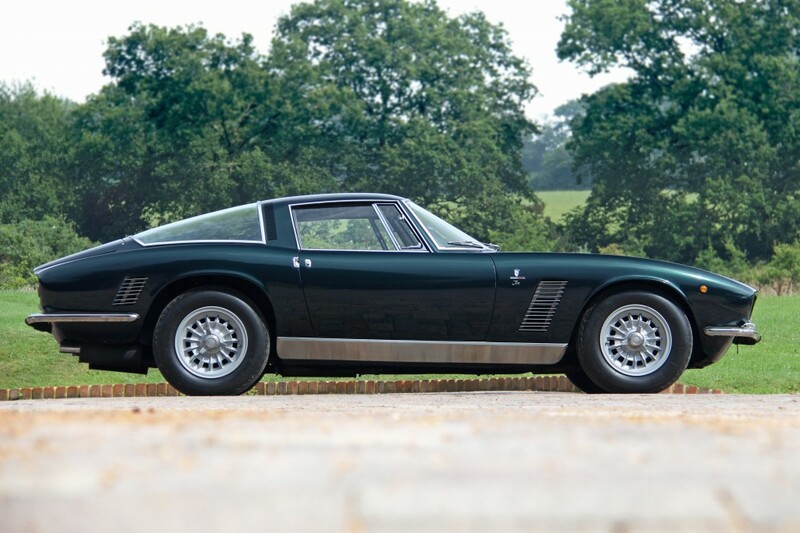 Designed by Giugiaro when he was working at Bertone, the beautiful Grifo blended masterly styling with a brutish V8, taken from the all-American Chevrolet Corvette. Given the humble roots of the ISO company – founded by Renzo Rivolta in Milan in 1953 to make scooters and the original Isetta bubble car – the Grifo is all the more remarkable. Its 5.4-litre Corvette V8 blessed the ISO with mighty performance, equally the match of any contemporary Ferrari or Maserati. A stunning 1968 Series 1 Grifo will grace the Fountain Gardens at Hampton Court Palace at the 2014 Concours of Elegance, from 5-7 September.